During the latter half of 18th century in an industrial town in the Midlands of England, a number of leading intellectuals and freethinkers met once a month during the time of the full moon to have dinner and discuss natural philosophy. Some Masonic lodges also traditionally met once a month during the time of the full moon so the brethren of the lodge had enough light to find their way home during the otherwise dark streets of an 18th century town in the Winter months. The Warrington based Lodge of Lights passed a resolution in 1810, fixing the regular meeting to “the Monday Evening on or before the Full Moon”; the lodge secretary being instructed to make out a list of these Mondays and give them to each member. Likewise, members of the Royal Lodge of Faith and Friendship, based in Berkeley, Gloucestershire, also proposed that the lodge should meet “the Monday nearest the Full Moon”. This is also reminiscent of the Lunar Society, or the Lunar Circle as it was originally called in the mid 1750s, the name given to that group of natural philosophers who met in Birmingham, which included a number of men linked to Freemasonry; boundless intellectuals such as Erasmus Darwin, James Watt, Josiah Wedgwood, Benjamin Franklin and Joseph Priestley. The Lunar Society was thus named, like the aforementioned lodges, because it met on the Monday nearest to the full moon, to provide enough light for the members to travel during the evening. Though it had a somewhat loose style of membership to say the least, the Lunar Society was an example of like-minded men – or Lunarticks as they styled themselves -working together for a positive aim; to promote natural philosophy. There were no minutes, no constitution and no actual membership list, so only correspondence between ‘members’ survive to provide an insight into the group. One of the leading ‘members’ of the society was Erasmus Darwin; a physician, poet and Freemason who was a close friend to many who were linked to the society, such as Josiah Wedgwood and Matthew Boulton. As the 18th century progressed, the idea of immortality became embraced by forward thinking Freemasons, such as Erasmus Darwin, who expressed immortality in his poem The Temple of Nature, discussing modern ideas of immortality with a natural philosophical approach. Darwin studied biology amongst other aspects of natural philosophy, and put forward early ideas of biological evolution in his Zoonomia. In The Botanic Garden, Darwin used Rosicrucian themes of spirits and fairies to symbolise the elements, the older magical images being used to represent new “scientific” thought. It was this new exploration into natural philosophy and the search for immortality that became an inspiration to Mary Shelley’s work Frankenstein. Darwin’s theories of artificial production of life and the regeneration of nature, was seen as a direct influence on the gothic classic, giving Mary Shelley a nightmare vision of resurrection and immortality, within the realms of natural philosophy. 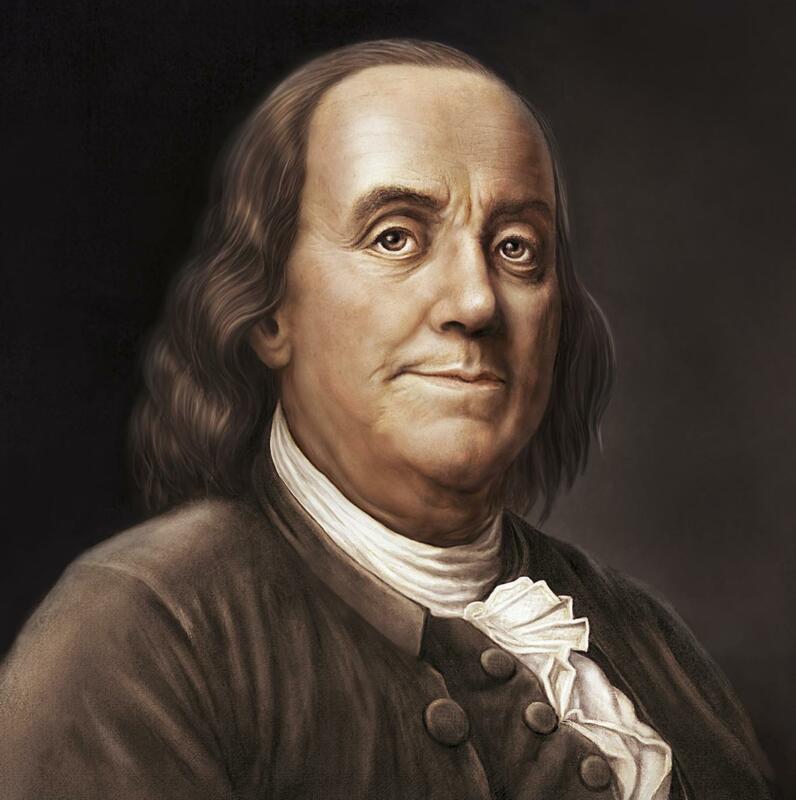 Another Masonic natural philosopher and friend of Darwin, who has also been linked to the Lunar Society was Benjamin Franklin, who may have also inspired the name of Shelley’s masterpiece, Franklin’s experiments with lightening rods being an influence. James Watt was a Scottish inventor and mechanical engineer who had formed a successful partnership with Matthew Boulton, who owned the Soho Manufactory in Birmingham, in 1775. Watt improved the Newcomen steam engine, making the steam engine more efficient, becoming a Fellow of the Royal Society, and also becoming a Freemason. He became an influential member of the Lunar Society, and like Darwin, Wedgwood and Priestley, he became much sought after as an intellectual and conversationalist. When discussing the Lunar Society, one can only imagine the scene of so many leading and important intellectuals sat around a dining table discussing a groundbreaking scientific topic. Josiah Wedgwood was a close friend of Darwin’s, and, though not a Freemason, his name became linked to the Craft. A lodge named after Josiah Wedgwood (No. 2214) was founded in 1887 in Stoke-on-Trent. Josiah Wedgwood’s son was a member of the Etruscan Lodge, which met at the Old Bridge Inn at Etruria. Wedgwood’s business partner William Greatbatch was also a Freemason and was a member of the Etruscan Lodge. Greatbatch was responsible for designing Masonic artwork on some pottery. This particular Etruscan Lodge closed around 1847, though another lodge with the same name surfaced shortly afterwards. Freemasonry in the Staffordshire area has continued links with the Wedgwood family, and as recently as 1971, two direct descendants of Josiah Wedgwood; with brothers Josiah and William Wedgwood, attending the Josiah Wedgwood Lodge in Stoke. Another member of the Lunar Society was Joseph Priestley. Priestley was a dissenting minister, philosopher, groundbreaking scientist, a tutor at the non-conformist Warrington Academy, and a supporter of the American and French Revolutions. There is no evidence to suggest that he was a Freemason, but he certainly mixed in Masonic circles. Leading intellectual figures and natural philosophers Dr Richard Price and Benjamin Franklin were both Freemasons, and they both influenced Dr Joseph Priestley in his work while he taught at the Warrington Academy, which, from 1757-1786, became Britain’s most progressive learning centre for the sons of non-conformists. Benjamin Franklin is of course, another illustrious name linked to the Lunar Society. By the mid 18th century, many non-conformist families were involved in industry, such as Josiah Wedgwood, whose son, John, attended the Academy. John ‘Iron-Mad’ Wilkinson was also a supporter of the Academy, his daughter Mary, marrying Joseph Priestley, and Wilkinson’s son, William, also attending the Academy. Tutors such as Priestley, who became a tutor at the Academy in 1761, and others such as John Reinhold Forster, Dr William Enfield and Jacob Bright, all had excellent reputations, the status of the Academy growing as a result. It was during his time at Warrington that Priestley travelled to London, becoming friends with Benjamin Franklin and Richard Price. The Royal Society would also become an influence on Priestley, when he became a Fellow in 1766 on the merit of his work on electricity. Price and Franklin had both recommended Priestley, and his History and Present State of Electricity had been written while he was at Warrington after being encouraged by Franklin to conduct his own experiments. The links between Freemasonry and the Royal Society were still strong at this time, the scientific mind of the 18th century being attracted to the expressive ideals of natural philosophy which were apparent in both societies. Priestley finally left the Academy in 1767, and had applied to accompany Captain Cook on his second voyage to the Pacific, but was stopped by the Board of Longitude, which, being mainly made up of the established Anglican Clergy, took offence to Priestley’s extreme religious views. Academy tutor John Reinhold Forster, who had befriended the Freemason Joseph Banks, the botanist who had accompanied Cook on the first voyage, was offered the position on the second voyage instead of Priestley. Forster was one of the two recorded Academy tutors who were Freemasons, being initiated into the Lodge of Lights in Warrington in the same year he came to England, in the December of 1766. Forster later joined the Zu den drei Degan Lodge in Halle, were he worked as a professor of Natural History and Mineralogy after returning from the Cook voyage. He served as orator and warden, though he had to leave the Lodge when he fell into ‘adverse circumstances’. His son George, who taught Natural History at Cassel, was also a Freemason, and in 1784, the Zur Wahren Eintracht Lodge in Viena, held a Lodge of Festivity in honour of his presence there. This Lodge also boasts a variety of other prominent figures of the time, such as Haydn, Alxinger, Denis, Born, Eckhel, and Sonnenfels. Jacob Bright was the second recorded Academy tutor to have been a member of the Lodge of Lights, entering the lodge some five months before Forster in the July of 1766. Bright played quite an active part in the lodge, becoming Worshipful Master in 1771-2. Priestley had moved to Birmingham in 1780, and though he had been involved in the society for over a decade, his closer proximity to the ‘Lunarticks’ resulted in its most productive and prolific phase (it was at this time that the society began to meet on Mondays rather than the usual Sundays to accommodate Priestley’s ministerial duties). However, with the advent of the French Revolution in 1789 and the subsequent Priestley Riots in 1791, the society began to suffer; unlike Freemasonry which does not discuss politics in the lodge room, tension between members due to political differences began to fragment the society. Priestley left for the USA in 1794, and Matthew Boulton and James Watt had to arm their employees to protect their Soho Manufactory from rioters. Despite the society being continued by the sons of Wedgwood, Boulton and Watt, it had ceased to exist by 1813, thus one the world’s most intellectual and forward thinking collectives came to an end.